Not all bikes have gears. But, if you are wanting to ride on the road, it makes cycling so much easier if you have lots of gears to use and choose from, especially when you need to go up and down hills. Most modern bikes have two sets of gears to choose from. To change them there are usually two levers to work them, one on the right and one on the left side of your handle bars. If there is only one set of gears to choose from, the lever will be on the right. 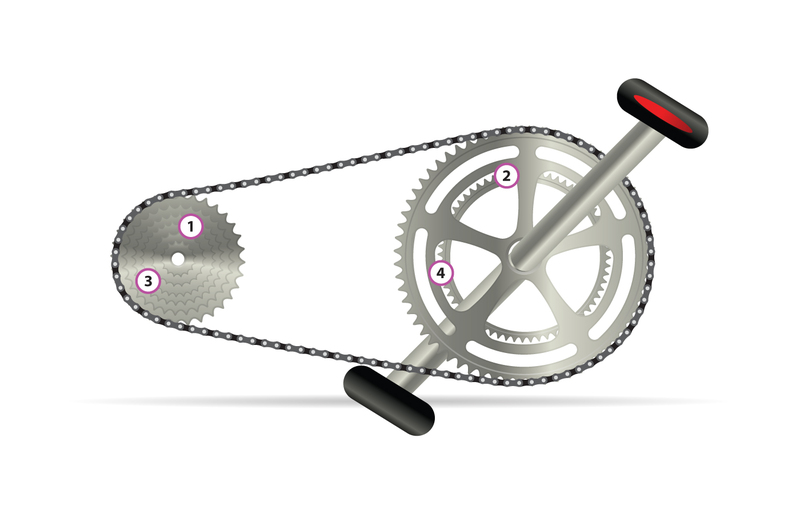 When you move those levers, you keep pedalling and this moves the chain to different ‘cogs’. These are the circular jagged metal pieces the chain sits on. The lever on the right side moves the chain on the back wheel. When the chain is on the largest cog on the back wheel, you will find it easiest to pedal. When it is on the smallest cog on the back wheel, it is much harder to pedal. The lever on the left moves the chain at the front next to the pedals (Not all bikes have this second set of gears to choose from). There will either be two or three ‘cogs’ at the front. This time however, when your chain is on the smallest cog by the pedals, it will be really easy to pedal, so you might chose this setting when you are cycling up hill. When the chain is on the biggest cog by the pedals, it is hardest to pedal. You will probably use this most for going downhill. 1 – We suggest that your chain on the back wheel should normally be somewhere in the middle of your gears. So for example, if you have seven gears to choose from on the back wheel, set it somewhere around number four. 2 – Now, depending on the road you are about to cycle on, helps you decide which ‘cog’ to choose at the front. If you are about to ride up hill, you would set your front gear to the smallest cog, downhill the biggest cog, on a road that is pretty flat, probably the middle one. 3 – Once you get going, you then ‘fine tune’ your chosen gears, by adjusting the gear at the back so it feels comfortable to ride. 4 – If you get to a set of traffic lights or a stop line, if you are in a ‘high’ gear, it can be quite hard to cycle away again. Rather than trying to change the gears on the back wheel, which can take a bit of time, to quickly change down, change to the gear at the front from the big cog to the middle for instance or the middle to the smallest one. If you do this, it will be much easier to cycle away when it is safe to do so.